Hey, guys! MissyAnn from Talk Fabulous here. Welcome to my page! I'm so glad you're here. Drop me a line and introduce yourself. I'd love to hear from you! Here's a little about me...I'm a Midwestern girl loving life in the heartland. I'm married to the love of my life. By day, I'm a scientist working to feed the world. Struggles are real when working in a predominately male field. Feeling fabulous every day is key to keeping cool and confident. That's where this blog comes in. We're really all the same, we're fabulous, everyday people trying to balance work, family, friends, hobbies, etc. 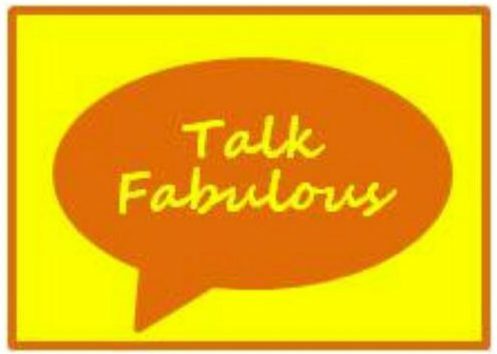 Let's connect on our commonalities and talk about all things that make us fabulous! Spring has sprung! I’ve been seeing daffodils in bloom everywhere. Trees are starting to bud, birds are chirping, and the grass is greening up. The world is coming back to life. I love it! Spring is a great time to also get back outside and enjoy the beautiful nature surrounding us. Breath in the fresh air and get all that winter dust and darkness out. It’s a time to refresh and reset the soul. What a better way to do that than to go for a hike. A hike you ask? Yes, let’s go for a hike! But what should we wear? Great question! It can be difficult to figure out what to wear for a hike (or any outdoor activity for that matter). I’ve come up with a few fool-proof tips to make sure you dress for comfort on your next outdoor adventure! Let’s dive in! Through trial and error, I’ve determined that the tipping point temperature is 70 degrees. Throw on a baseball cap and you’re good to go! Layering is the key to comfort. Even checking the temperature beforehand you can never really tell how it will feel out on the trail. It might be under 70 degrees, but what if it’s sunny and bright. Shedding that jacket might be just what the doctor ordered. Choosing the right footwear can be challenging as well. Knowing the trail makeup can really help take the guessing out of what to put on your feet. On another note, I would highly recommend changing into flip-flops or sandals when you’ve finished your hike. Why you might ask? Let me illustrate with a story. One beautiful autumn afternoon, I decided to go for a hike with my dog. The air was warm, but not hot. The cool breeze was blowing through the trees of red and orange. The fall wildflowers were in full bloom. It was a great hike. The trail was about an hour from our home. We were about home and all-of-a-sudden my legs felt like they were on FIRE! Seriously, on fire. They itched so badly. Turns out I had a really bad case of chiggers. Had I taken off my shoes and socks after the hike, I may have been able to prevent the infestation. Even if you don’t encounter chiggers, who knows what you may brush up against in the woods. Poison ivy, anyone? Case in point, remove your socks and shoes after hiking. Now that we know what to wear, what should we bring? We may think nothing, but there are a few things we want to make sure we have with us on the trail. Water: Make sure you have plenty of water. It’s recommended to drink 1/2 to 1 liter of water every hour on hot humid days. It’s still important to drink water on chilly days, too, although you may need less than indicated above. If you’re bringing your dog along, make sure you have plenty of water for them too! Granola bars: Make sure you have a source of energy out there on the trail. That’s it! You’re now prepared to have a comfortable (and safe) trip on the trail, so go out there and explore! Feel free to share your outdoor adventure pics with us in the comments or on our Facebook page. We’d love to see them!